Though the concept of natural law took center stage during the Middle Ages, the theological aspects of this august intellectual tradition have been largely forgotten by the modern church. In this book ethicist Jean Porter shows the continuing significance of the natural law tradition for Christian ethics. Based on a careful analysis of natural law as it emerged in the medieval period, Porters work explores several important scholastic theologians and canonists whose writings are not only worthy of study in their own right but also make important contributions to moral reflection today. 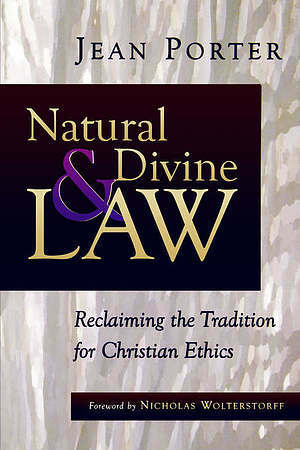 Natural and Divine Law by Jean Porter was published by Eerdmans Publishing Company in February 2000 and is our 33055th best seller. The ISBN for Natural and Divine Law is 9780802846976. Be the first to review Natural and Divine Law! Got a question? No problem! Just click here to ask us about Natural and Divine Law.